Locally owned and personally operated, Cliff Gray Cremation & Funeral Services has proudly served Bryant Pond and the surrounding areas with professional, caring, and personable funeral home services since 2011. 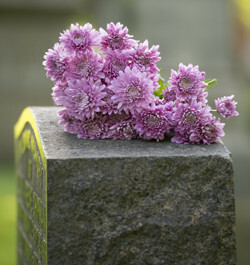 We assist you in honoring your loved ones in a way that’s befitting to their legacy and the memory they’ve left behind. Planning and attending funeral services in Oxford County, Maine is never easy for a person who has lost someone close to them. Between trying to grieve appropriately and attempting to ensure the memory and legacy of the person passed are honored, it’s easy to find yourself entrenched in emotional turmoil, frustration or depression. Cliff Gray Cremation & Funeral Services is here to help. We can’t ease the burden of your loved one’s passing, but we can do everything in our power to help you plan for their burial, cremation, funeral or memorial in a way that alleviates the burden on your mind and allows you to focus on coming to terms with their passing. We’ll guide you to acceptance, while honoring the life and memory of the person you lost. What makes our burial and cremation services in Oxford County, Maine so unique is our approach to each and every person we serve. We know that a burial is about more than a casket and a cremation is more than just picking an urn: it’s about laying your loved one to rest and doing so in a way that cements their memory. We get to know you and the person you’ve lost, to ensure every service we offer is completely tailored to meet your unique needs and your unique situation. In personalizing and customizing everything, we provide an opportunity for peace of mind in knowing that your late loved one is being laid to rest properly. We have more than 45 years of funeral experience and a deep understanding of your needs. Our compassionate and personalized services are available to residents of Oxford and Androscoggin Counties, ME. Every service we offer is completely tailored to honor the memory of your loved one. We’re available 24 hours a day to meet your needs.